After our winter Iceland trip, we have put together a useful guide to driving in Iceland in winter. 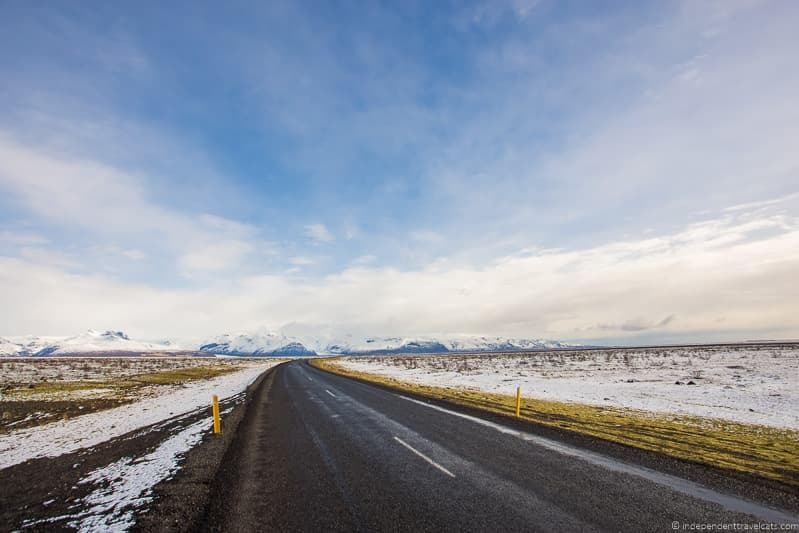 Iceland is a wonderful country for a road trip, but winter road conditions and closures can make it a stressful experience for those who are not prepared. We cover everything you need to know before you go, how to be prepared for driving in Iceland in winter, and what to do in the event of an emergency. 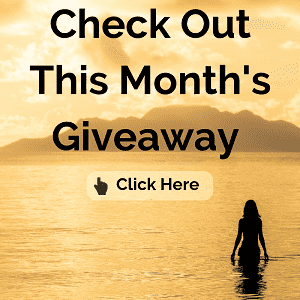 We’ll tell you what road conditions are like in Iceland in winter, what kind of car to rent, rental car insurance options, the best areas of Iceland to visit (and avoid) in the winter, how to prepare for a winter Iceland road trip, and how to stay safe. We also provide a list of alternative travel solutions for those who decide they do not want to drive in Iceland during the winter but still want to experience the winter highlights of Iceland. Should I drive in Iceland during the Winter? What are the Road Conditions like in Iceland in Winter? Which Months have Winter Road Conditions in Iceland? What kind of Car should I Rent for Driving in Iceland in Winter? What Kind of Rental Car Insurance Should I get in Iceland? Should I Drive the Ring Road in Winter? Ways to Save Money on Driving in Iceland? Can I drive the Highland roads in Iceland during Winter? What are the best parts of Iceland to visit in the Winter? Are there any alternatives to driving in Iceland in Winter? How should I navigate in Iceland? Where can I find weather forecasts for driving in Iceland? Is it safe to travel around Iceland alone in terms of crime? What rules should I be aware of before driving in Iceland? What Emergency Supplies Should I have for Winter Driving in Iceland? What do I do if I have an accident in Iceland? This first section will answer all the most common questions that people normally have about driving in Iceland in the winter. These include questions such as: What are road conditions like in Iceland during the winter? What kind of car do I need to rent in the winter? Should I drive the Ring Road in January? Are there alternatives to driving in Iceland? You can of course drive in Iceland in the winter, but whether you should or not, you’ll have to decide on your own. I’d base it on your driving experience in winter weather conditions and how comfortable you feel driving. The obvious pros are that driving allows for more flexibility and spontaneity, and you can stop or go whenever you like. The cons of driving is that it requires more responsibility and planning, and it can be stressful to drive through bad winter road conditions. If you are feeling unsure, I’d read this guide and hopefully it will help you decide whether driving in Iceland in winter is right for you. There are of course other alternatives to driving such as tours and public transit that we will discuss later. The main roads are kept open and cleared as much as possible throughout the winter, making it fairly easy to drive around the coastal areas of Iceland. Most of the main roads are paved although gravel and dirt secondary roads are common in the countryside. Most of the Highland roads (the roads in the more mountainous and interior area of the country); however, are not maintained and are closed to traffic throughout the winter. You’ll find warning signs posted if you happen to come across one of these closed roads. The actual road conditions are going to vary greatly over the winter months. The roads may be completely clear during your trip (lucky you! ), or you may find icy snow-covered roads following a storm. While roads may look clear, be sure to listen for any reports of black ice on the road which commonly lead to wrecks. The urban areas and town centers are generally cleared quickly following a storm but it can take much longer for country roads to be cleared. The vast majority of tourist traffic accidents and injuries occur in the countryside. Road closures are fairly common in Iceland, especially in the winter. The roads may be closed for a variety of reasons (e.g., snow, ice, flooding, strong winds, avalanche warnings) and these closures may last from a few hours to several days. Closures seem to be most prevalent in the northern and eastern parts of Iceland, and as I am writing this (in late January) two sections of the main Ring Road (Route 1) are currently closed to traffic. The most dangerous situations are often when the weather changes quickly and catches people out driving who are unaware and unprepared. The weather in Iceland can change rapidly and the saying that “if you don’t like the weather, just wait 5 minutes” has some truth to it. So it is important to keep up to date with the local weather forecast and be prepared. It is also not just snow and ice that you should look out for while driving in Iceland. Strong winds and flooding are two other factors to be aware of when traveling. Many travelers have underestimated the power of the wind with consequences ranging from having their favorite hat blown into the sea to their door blown off the side of their rental car to their campervan being pushed into a ditch. In 2017, serious flooding in East Iceland closed and damaged a section of the Ring Road near the Jökulsárlón glacial lagoon, took out bridges, and stranded a number of people and animals. Winter, of course, technically lasts from December to March. However, the “winter season” in Iceland is longer than in some other parts of the world, running from about early November to the end of April. During these times, you may encounter winter conditions, including snow and ice on the roads. But it is not uncommon to encounter a winter storm as late as May, so do be prepared and check weather forecasts before you leave. The Highland areas may have snow until the end of June or even early July, depending on the weather that year. These roads are closed throughout the winter season, and the weather will determine when these roads (as well as the Highlands hiking trails) are opened to the public. Every year the Iceland Road and Coastal administration publishes a map detailing expected opening times for the roads for that year. This map is usually made available in the first weeks of summer in Iceland, and you can get that here. What type of car or campervan to hire is probably one of the most common questions we get from readers about driving in Iceland during the winter months. Here are our thoughts and advice. 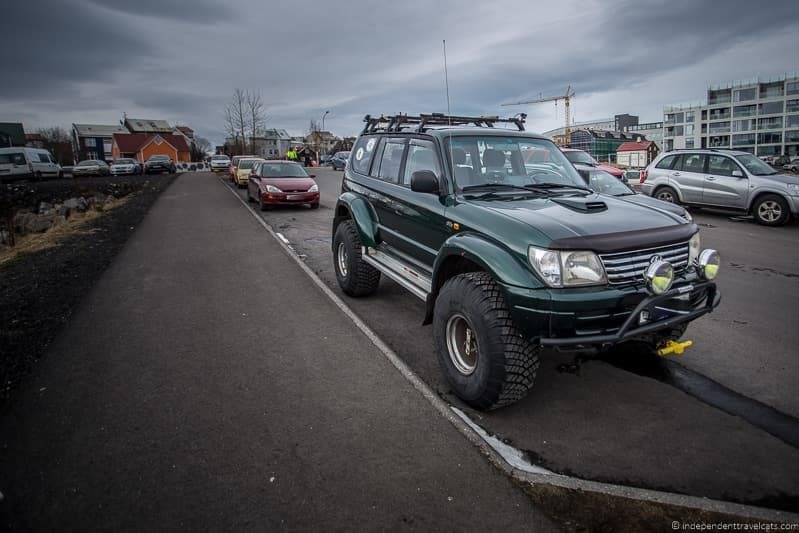 You don’t need a “superjeep” or large 4X4 SUV for driving in Iceland in winter. We would recommend hiring a 4-wheel drive vehicle that has good winter tires. 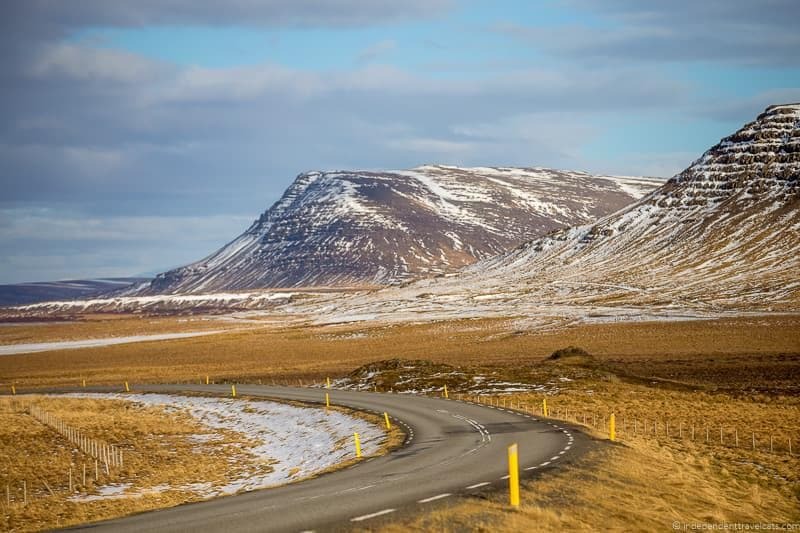 In terms of insurance coverage, third party insurance is mandatory in Iceland for all drivers but we’d recommend getting fuller coverage to protect yourself from high repair fees in case of an accident. We also had collision damage waiver (CDW) and theft protection as part of our rental car insurance. We’d recommend comparing rental car prices here and here. We had a rental car (saloon type) from Hertz Iceland for our winter trip that was a 4-wheel drive car with a GPS and winter studded tires. We would highly recommend the same as although the main roads in Iceland are kept cleared, you are still likely to encounter some snow or ice on the road during your trip and it is always good to be prepared. We drove through a short snow storm at the end of our trip and were happy to have a 4 wheel drive (4WD or 4X4) car with good winter tires which kept us from sliding off the road. You don’t necessarily need studded tires like we had, but you will definitely want a good set of winter snow tires. Winter tires are specifically designed to be driven on roads with snow. Check the tread on your rental car to make sure it does not look too worn on the tires before driving off. Worn tires are more prone to slip on ice and slide off the road. Note that most cars in Iceland have manual transmissions (“standard” or “stick”). If you are only able to drive cars with automatic transmissions, just be sure to book in advance to guarantee one and know that they will likely be more expensive than those with manual transmissions. In terms of age limits, although you can legally drive in Iceland at age 17 with a valid license, you normally need to be at least 20 to rent a car. Most rental car companies; however, require you to be at least 23 or 25, especially to hire a 4 wheel drive vehicle. Extra charges often apply for drivers 25 or under. Those under the age of 23 may be better off considering a guided tour in the winter. If you are planning to hire a campervan or RV, you’ll of course also want to make sure you have good winter tires. Before you drive off, we’d also recommend checking the pipes to make sure the pipes and drains are working properly (they may freeze if they weren’t drained properly). You’ll also want to know how to drain the water tanks to keep them from freezing during your trip. You can compare prices for campervan rentals in Iceland here. Note that RVing and camping is less popular in the winter months for obvious reasons which means many campsites are seasonal. So we’d recommend booking camping and RV sites in advance. Many sites close during the winter months although some have started to extend their opening seasons in recent years as tourism has increased. You don’t need this giant 4X4 Jeep, but you do need good winter tires! 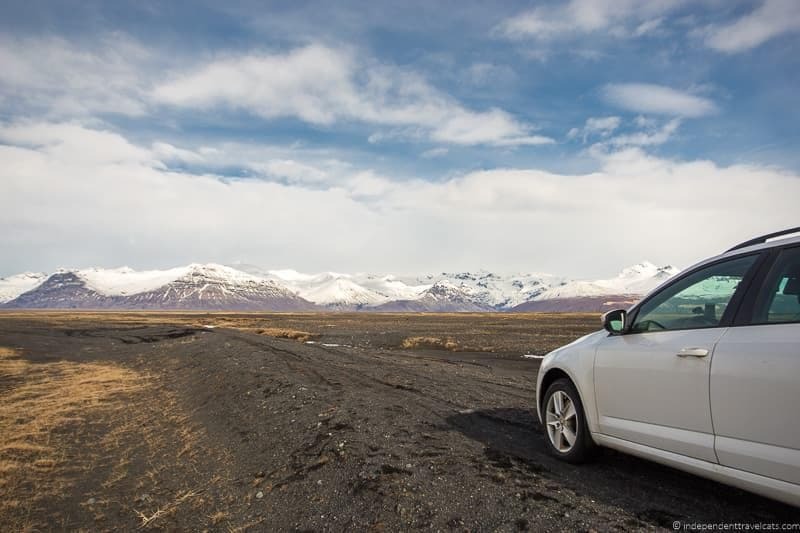 A basic level of car rental insurance coverage in Iceland is legally mandatory as you must have basic third-party liability insurance to legally operate a vehicle. This is normally covered as part of the basic CDW (collision damage waiver) insurance included with your car or campervan rental. Be sure to check that this is included, but just about every rental comes with this included in the price since it is a legal requirement. The Basic CDW coverage generally includes the mandatory third-party liability insurance and accident insurance for the driver and the owner. It may also include additional things like vehicle theft protection. The basic CDW that comes with most rental cars often comes with a fairly high deductible (often USD $1,500 to USD $3,000) so an accident can still cost you up to that amount. This basic insurance coverage normally does NOT cover general physical damage such as cracks, dents, windshield cracks, sand damage, etc. We chose to upgrade the included “Basic CDW” rental insurance to what the rental company called “Super CDW” coverage. This decreased our deductible down to $0 and also included most types of physical damage to the car, such as dents, scratches, windscreen chips or cracks, etc. Another common add-on insurance option is “sand and ash protection”. This protects your car from any damage caused by sand or volcanic ash. This is a less common form of damage but sandstorms do happen in Iceland, especially on the South Coast. Sand or ash in a storm can cause scratches and strip the paint off the car. We chose to decline the sand and ash coverage and were just careful to check the road and travel conditions. You’ll need to use your own judgement as to what additional rental car insurance protection you want to purchase beyond the legally required insurance. We personally recommend upgrading to a coverage that will cover you for at least the most typical kinds of physical damage such as chips, dented doors, and cracked windshields. Having this coverage provided us with a much better piece of mind and is what we’d recommend to most travelers, especially in winter, to avoid any large surprise costs during your trip. Of course no insurance coverage will cover you for any damage incurred during illegal activities (e..g, driving off road, speeding, driving on closed roads) or cover you for anything not allowed as outlined on your rental car contract (e.g., driving on Highland F roads, fording rivers). Be sure to carefully check your rental car contract. You can drive the Ring Road in winter, but we don’t recommend it. Iceland’s Ring Road is a nickname for Route 1 which loops around the island at a length of 1,332 kilometers (828 miles). Most of the road is paved and has two lanes, however there are sections, especially in the east and north, that are unpaved gravel and there are blind curves and one lane passes along the route. The Ring Road makes for a fantastic summer road trip, which we highly recommend. But in the winter months, this road can often be dangerous and hazardous. Even if you start the trip with good weather conditions, winter storms and icy conditions can occur very quickly and leave you stranded. Road closures and bad weather conditions can play havoc with your plans, and can turn a fun vacation into a stressful one. If you are going to do it anyway, be sure to have a 4WD vehicle with studded tires, and carry emergency supplies. 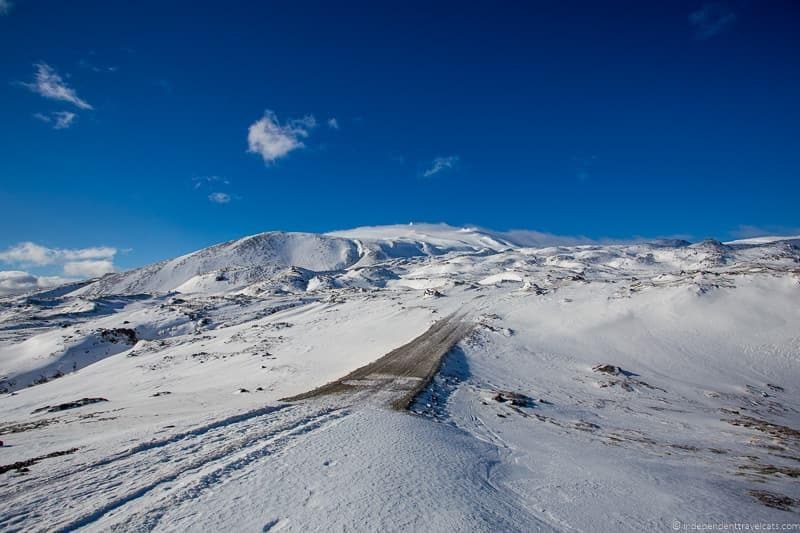 We’d definitely recommend avoiding the Öxi pass, a narrow and steep mountain pass in eastern Iceland. The Öxi pass is not actually part of the Ring Road but is often taken as a shortcut (and GPS units often estimate it to be quicker, it is not). If you really want to drive the full Ring Road and experience all of its attractions and beauty, I’d visit between the June and October for the best and safest experience. The good news is that you can safely drive the better maintained and traveled sections of the Ring Road in the winter (west and south) where you can see many of the road’s most popular highlights. You can see our winter Iceland itinerary for a suggested 1-week road trip itinerary. Another alternative is to book a group tour such as the Iceland Complete Winter tour which is a guided tour of the Ring Road highlights tailored for winter. There are a few ways to save money in Iceland if you plan to drive yourself. These include comparing rental car rates, choosing the right car insurance coverage, minimizing car rental days, and getting a fuel discount card. 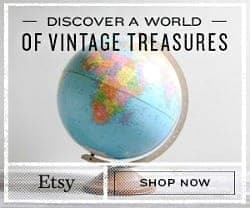 See our article about traveling to Iceland on a budget for 21 budget tips for Iceland which include several tips related to driving. No, you should not attempt to drive the roads in the Highlands during the winter. Throughout the winter, the “highland roads” or “mountain roads” are closed and you’ll see signs marked “Impassable” posted. This signs are meant for everyone, including those in 4WD vehicles. The one exception is that the F35 Kjalvegur road to the Gulfoss waterfall is usually open year round, but it is closed in the winter just past Gulfoss. This road to the waterfall parking lot is normally manageable in a normal car even in the winter months. You’ll see the highland roads marked on the map as F roads such as F26 and F821. The F roads are typically narrow gravel roads with few bridges, and many require river crossings to pass. Crossing a glacial river, especially in the winter, can be very dangerous! If you choose to go past the Impassable posted signs, note that it is illegal and you could receive fines if caught. It is also likely against your rental car agreement, and if you get stuck you’ll likely be waiting awhile to get towed/rescued and will likely be subject to heavy expenses and fines. Some locals do access these roads at their own risk in the winter, but you’ll notice they are in heavy-duty SUVs or “superjeeps” and (hopefully) have experience doing so. If you really want to explore the interior and highlands of Iceland in winter, we recommend that you consider a Super Jeep tour (such as this one), a winter trekking/Super Jeep trip (such as this one), or helicopter or airplane tour (such as this one) with a reputable travel company and local guides. You may be wondering what parts of Iceland we recommend in winter since we don’t recommend the Ring Road and the Highland roads are all closed. Don’t worry! There are many parts of Iceland you can visit safely in Winter. The best part of Iceland to visit in the winter is definitely Reykjavík and Southern Iceland. The southern part of Iceland is kept temperate, even during the winter, by the warm waters from the Gulf Stream. This is also the area of Iceland that contains most of Iceland’s best known sites such as the Golden Circle, the Blue Lagoon, several popular waterfalls, black sand beaches, and the Jökulsárlón glacier lagoon. The western part of Iceland, including the Snæfellsnes Peninsula and Borgarnes area, is also usually open to travelers throughout the winter months. If you have extra time, I’d plan some time there as well. We have put together a 5 day any season self-drive itinerary and a 7 day Iceland winter road trip itinerary that includes all the highlights of these regions and avoids spots that are closed or harder to access in the winter months. We recommend these itineraries not only for the winter, but for anyone with a week or less of time in Iceland. We also recommend taking advantage of the winter weather and consider doing some fun winter activities, such as skiing, snowmobiling, holiday events, ice skating, or ice cave exploring. Of course, visiting the northern or eastern part of Iceland in the winter can also be a fantastic experience if you are looking for an alternative to the more popular southern part. Northern Iceland is an especially good choice for a second visit to Iceland. I’d fly into Akureyri and then base yourself in the north. You can rent a car in Akureyri although just know you may need to plan your schedule by the weather or take day trips. Northern Iceland in winter is a great place for winter sports, small museums, fishing villages, thermal baths, solitude, and a festive place to celebrate Christmas. There are several ski resorts in this area and if you are looking to ski in Iceland, this is the best place to do it. In eastern Iceland, we’d also recommend considering a stay and doing activities at the Wilderness Centre which is a secluded hotel and activities center that includes rustic but comfortable accommodation, meals, hiking opportunities, a museum, special holiday activities, tours, and dining. This rural farm location is a great place for a chance to see the Northern Lights and there is an on-site observatory for stargazing. Yes, if you have decided that driving in Iceland during the winter may not be the best choice for you, there are a few alternatives to driving. We don’t want to discourage you from driving in Iceland, as we think a self-drive trip is a great way to see the country. However, if you are not very confident in your winter driving abilities, have never driven in another country, or find driving stressful, I’d definitely check out the alternatives. The main priority of your holiday should be to enjoy yourself and be safe, and not be stressing over having to drive in an unfamiliar situation. Alternatives to driving include day tripping from Reykjavík, an escorted private or group tour, or using public transportation. First, you might want to consider basing yourself in Reykjavík and taking a number of day trips from the city itself with tour operators.You can visit just about any of the cities and attraction we recommend throughout southern and western Iceland via day trips. We have written guides to the best day trips from Reykjavík, as well as the best winter activities in Iceland (many of which depart from Reykjavík), which should give you a good idea of what you can do from capital city without driving yourself. A good alternative to driving is to take a guided group tour. This will take you to the destinations you want to go to in comfort, without having to worry about driving or planning. Tour prices usually include all your transportation, guided visits, accommodation, and some meals. They may also include some entertainment or activities. Be sure to check to see what all is included and what is optional when making your booking. We can personally recommend Iceland Travel, a locally owned company that has been operating in Iceland since 1937. A few of their winter guided tours we recommend checking out are the Hidden Powers & Northern Lights Hunt tour, the Complete Winter Tour (Ring Road), and Highlights of the South Shore tour. 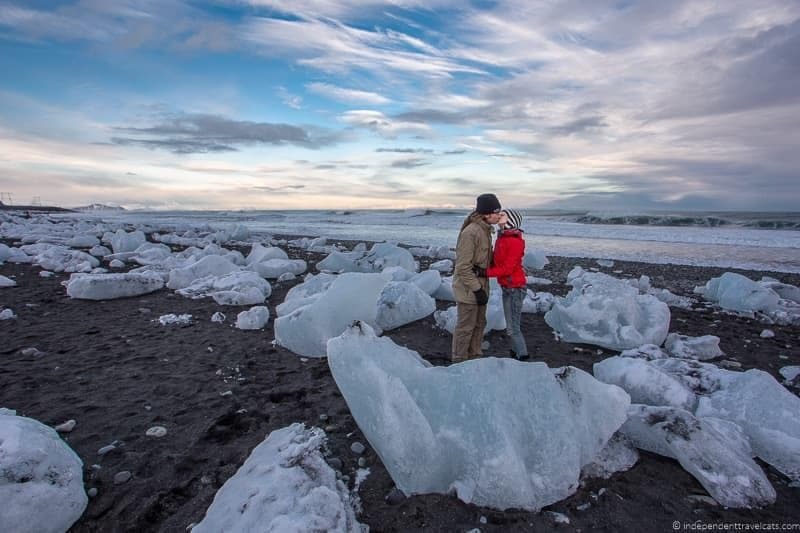 For more guided tour ideas, see this list of the best guided tours in Iceland from 2 day to 12 day trips, which includes both winter and summer tours. Thee list also include trekking, adventure, and photography tours. 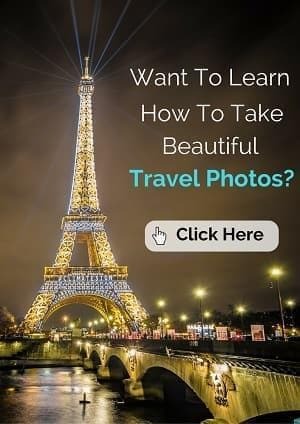 Most travel companies, including Iceland Travel, can also arrange private tours so that it will just be you and your travel companions along with a driver and/or guide. These private tours can then be customized to suit your needs. Just be aware that in a country like Iceland these will be expensive. This is probably our least recommended way to get around in the winter months in terms of sightseeing. There is of course year-round public bus service in Iceland operated by Straeto. You can see timetables and destinations here. However, you are unlikely to be able to stop for sight-seeing outside of designated stops, and there are not many buses per day. Although we don’t recommend these for sightseeing, they are good ways to get from Point A to Point B. In the summer, there are bus services that operate “bus passports“, which allow you to travel around Iceland by bus, getting on and off the bus at various points designed for sightseeing and hiking. Unfortunately though these are not available during the winter season. Internal flights are also possible from Reykjavík to Akureyri throughout the year. The next section goes into more specific things you should know right before you begin driving in Iceland. These include things like driving laws and regulations in Iceland, finding local weather forecasts, personal safety concerns, emergency supply recommendations, and what to do if you are involved in a car accident. Many car rental companies will offer you a GPS for travel in Iceland. This is certainly nice to have, but is not a necessity. Iceland does not have that many roads, and if you are driving the main tourist routes like the Golden Circle and Route 1, they are very easy to follow. We’d suggest that you get hold of a paper map, and download an offline version of an Iceland map on your phone or tablet. You will not always have data as you travel in Iceland, so having something that works offline is very handy. We found roads and attractions in Iceland were generally well sign-posted. We’d also add a little to the driving time estimates from GPS or Google Maps. We found that it often took a little longer than expected, particularly in winter conditions when going can be a lot slower than normal. If you book a self-drive trip through a company like Iceland Travel, they will provide you with a GPS, as well as a tablet device that contains a detailed offline map of Iceland’s roads and key attractions along the way. The weather in Iceland can change very rapidly, so having access to up to date weather forecasts is essential while you are traveling in Iceland. There are a number of good places to get up to date weather forecasts for Iceland. Three good ones are the official Iceland Meteorological Office website, the Safetravel.is road conditions website and the road.is website. The Iceland Meteorological Office gives up to date and accurate weather forecasts across all of Iceland, as well as aurora forecasts, which is handy if you are interested in seeing the Northern Lights. 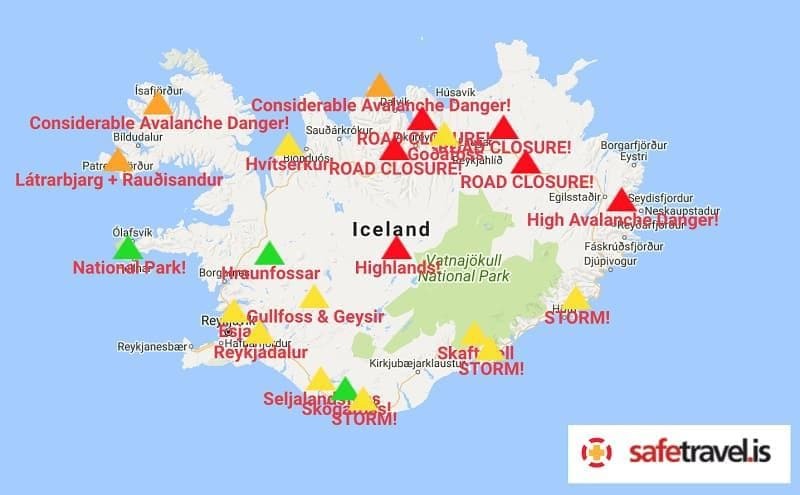 Safetravel.is is operated by the Iceland Association for Search and Rescue and provides safety recommendations, road condition alerts, and safety advisories. Finally, road.is is managed by the Icelandic Road and Coastal Administration, who have the responsibility for all of Iceland’s roads. They also have a helpline you can call for updates (including in English), which is 1777 from inside Iceland. If you don’t have Internet or cell-phone coverage while driving in Iceland, you can often find the Safetravel.is website information displayed on screens in gas stations. Or if not, you can ask one of the clerks who will probably check the forecast for you. So these are worth stopping at to check the latest road conditions as you go, especially if the weather isn’t looking great. Yes, Iceland is considered one of the safest Europeans countries to visit based on crime statistics. Although gun ownership is high in Iceland, violent crime is rare and drug use is fairly low. So Iceland is certainly considered safe for solo travelers or those wanting to embark on a road trip. The major safety concerns for travelers are related to driving and weather rather than crime. However, don’t let the crime statistic lull you into a false sense that nothing can happen as crime still happens in Iceland. Note that some crimes such as auto theft, pickpocketing, sexual assault, and vandalism seem to be increasing with increased tourism and immigration in the country. You will still want to take all normal safety precaution, such as locking your car & hotel doors, being vigilant of your surroundings, watching your drinks at bars, not leaving children unattended, letting someone know where you are going, keeping your valuables hidden, etc. First, drivers drive on the RIGHT side of the road, as in the United States, Canada, and most of Europe. In most cases, roads are dual track, with a single lane on either side. Occasionally, roads will become single-track, especially on bridge crossings along country roads. There will be signs posted well in advance giving warnings of these, and usually the first person to arrive at the crossing has the right of way, unless otherwise signposted. Seatbelts are required at all times, for all the passengers in the vehicle. Children under 150cm in height must not sit in a front seat with an active airbag. Children under 135 cm in height must sit in a child car seat, with different seat requirements depending on their weight. These rules are outlined on the Iceland Transit Authority website here. Speed limits in Iceland are posted in kilometers an hour (km/h), and are usually 50km/h in urban areas, 80km/h on gravel roads and 90km/h on asphalt roads. Of course, these can vary depending on the situation, so always watch for signs and obey the posted speed limit. There are speed cameras posted throughout the country and fines for speeding. It is illegal to drive off-road in Iceland, you must always stay on the marked track, road, or designated parking area. This applies even with an off-road vehicle. It is also illegal to stop on the roadside, or to feed fenced animals. If you see something you want to stop and take a picture of, always use a designated parking area. It is illegal to use a cell phone while driving (unless hands-free), so as the driver it is best to hand over responsibility of the phone (as well as the GPS or maps) to a passenger if you have one. If you must make a call or use your phone, pull over where it is safe to do so. It is illegal to drive under the influence of alcohol. The blood-alcohol limit in Iceland is very low (0.05) and there is a zero tolerance policy for drinking and driving (even if you just had one beer). So it is best not to drink at all if you will be driving. It is a legal requirement that your vehicle headlights should be on at all times when driving, both day and night. Third party insurance is mandatory in Iceland for all drivers. As mentioned earlier, we recommend fuller coverage to protect yourself. You can drive in Iceland unsupervised from age 17 with a license. However, to hire a car in Iceland most car rental companies will require you to be at least 20, and to have held your license for a full year. To hire a 4-wheel drive vehicle you will usually need to be at least 23. Also be aware that many rental car companies charge extra for renters under the age of 25. Note that free camping in Iceland is generally illegal, on both private and public lands, with a few exceptions. Free camping, which was previously allowed in more areas, has a negative environmental impact on the land in Iceland. See free camping guidelines here by the Environment Agency of Iceland. It is good to be prepared in the event that your car breaks down or you are in a car accident while driving in Iceland. The chances of an accident are much higher in the winter months and are most likely to occur in the countryside. What you want to carry with you will depend on what you feel is prudent, but we’d generally recommend that everyone carry a spare tire and tools to change it, a first aid kit, a paper map, extra phone battery, a flashlight or headlamp, a first aid kid, and an extra change of warm clothing. If you are driving about in a caravan or RV (or plan to camp anywhere), you’ll want to make sure you have cold weather sleeping gear, lots of warm clothing, and emergency blankets. Other good things to carry are extra antifreeze, a supply of drinking water, an emergency medical kit, and a snow shovel in case you get snowed in overnight or get stuck in a drift. Some of these things may come with your rental vehicle, but others are things you may wish to bring with you or buy once you arrive in Iceland. These items can be purchased in Reykjavík at automotive stores (many gas stations also carry many of these supplies) and you can also find outdoor gear and camping supplies at stores like Everest. A strong rope – can be used to help pull your car out of snow. Emergency beacon – this can be rented at several location in Iceland so that local search & rescue teams can located you quickly if necessary. Recommended for hikers and solo adventure travelers. First, if you have an accident while driving in Iceland, you should dial 112. This is the main emergency number in Iceland, and the number to call in just about any kind of emergency (traffic accidents, injury, crimes, search & rescue, fires). The 112 number should work anywhere from any phone (SMS, voice, land lines, pay phones, etc). I’d program this number into your phone in case of emergency. If it is safe to do so, you should remain in your car rather than try to seek help on foot. If it is not safe to stay in your car due to its location, then you should stay near to your car. It is safer to be in or near you car in case of bad weather and it also helps the emergency services locate you. Passing local traffic will often stop to offer assistance to stranded drivers. Next, you should contact your car rental company to let them know about the accident and they should be able to help you decide what to do next and help arrange towing, repairs, and car replacement services as needed. If you are traveling with a travel company or agency, you should also let them know about any accidents and any changes that will need to be made to your trip. Be sure to note the emergency 24/7 numbers of any company involved so that can be called as the regular numbers are normally only operated during working hours. Before you set off we’d also recommend downloading the SafeTravel.is app to your smartphone. The app has an emergency feature which will send an SMS containing your GPS location to the emergency services. 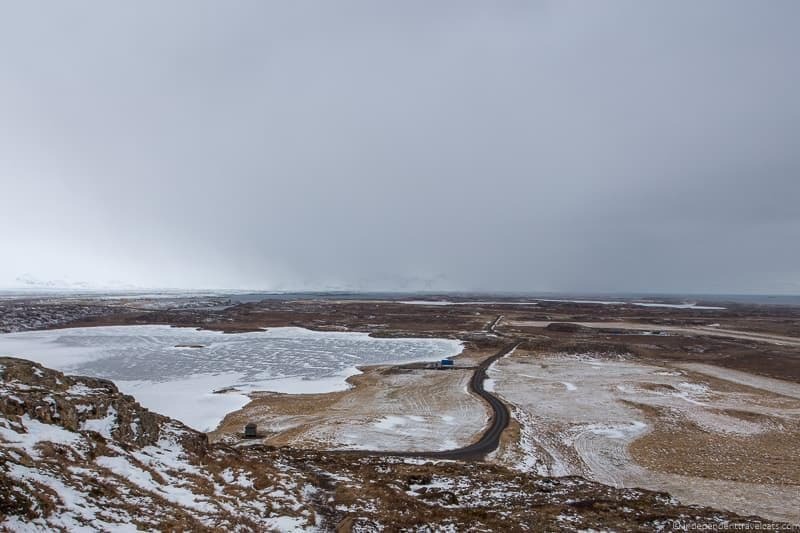 If you are traveling in a remote area of Iceland, you might not have sufficient cell coverage to make a call, but a text might still get through. In addition, the SafeTravel.is app lets you check-in as you travel around Iceland. This is very useful feature, particularly if you are heading to more remote parts of the country. If something should happen to you, the search and rescue team will have an idea of where to start the search if you are not able to make contact. The following are more specific tips for driving in Iceland in winter, some important reminders, and some additional tips for being prepared for your winter trip to Iceland. Keep updated about the weather and road conditions throughout your trip via the official Iceland Meteorological Office website, the Safetravel.is website and the road.is website. I’d bookmark each of these to have them handy. Keep all emergency and important numbers in your phone as well as written somewhere in case your phone goes dead or is lost or damaged. Remember 112 is the country’s emergency number and is a good number to teach all the members of your group to call in an emergency. Be sure to check on your tires, spare tire, brakes, emergency gear, GPS (if you are renting one), lights, and signals before leaving the rental car agency. Make sure everything is working properly and that you know how to use everything. The English spellings of Icelandic words often vary which can make inputting locations into GPS or Google Maps a bit tricky. Be patient. Some quick tips is that generally: æ = ae, ð = d, and Þ = th. Pay attention to your rental car agreement and insurance coverage as car parts and repairs are very expensive in Iceland. Things that are not likely to be covered include wind damage, sand damage, damage due to an animal, water damage, and anything related to driving the Highland roads (F roads). Drive defensively. Know that there are going to be other people out there on the road who have never driven in winter conditions, in Iceland, or on the right side of the road. There are also (foolishly) those who have NEVER driven anywhere before! Keep a safe distance from others and avoid people who appear to be driving erratically or irresponsibly. Add extra time into your itinerary. We found that we stopped more frequently than we thought we would and some stops took longer than expected. Build in extra time for bad weather, extra stops, slow traffic, and the like. If you are not rushed, you are much less likely to get into a dangerous driving situation. Note that if you are outside a lot, cold weather can cause a battery to lose its charge more quickly than normal. You may want to keep a spare battery (for your phone and/or camera) in a warm place (such as in a coat pocket near you chest). You may also want to bring along your car charger if you have one. It’s very important when driving in Iceland to watch out for animals on the road, especially sheep, which are often not fenced. Be careful when pulling off the road. Don’t just stop on the road to look at something, check your maps, or take a photo as not only is it illegal, but you can cause an accident, block traffic, and/or get hit by another car! Slow down when going from a paved to gravel road and vice versa. Many people slide during these transitions if going too fast and turning at the same time. Be aware of strong winds and don’t underestimate their power! Strong winds can rip a car door out of your hands and damages to a car door can be a very costly repair. In addition, a car door can slam shut on your fingers in windy conditions, which can cause serious hand injuries. Strong winds may also cause rocks or other debris to crack your windshield or even push your vehicle off the road. Winds can be particularly dangerous for those driving a wider vehicle such as a van or caravan. One thing that can ruin a great winter trip is not packing properly or being properly dressed. Be prepared for cold weather, rain, and wind. 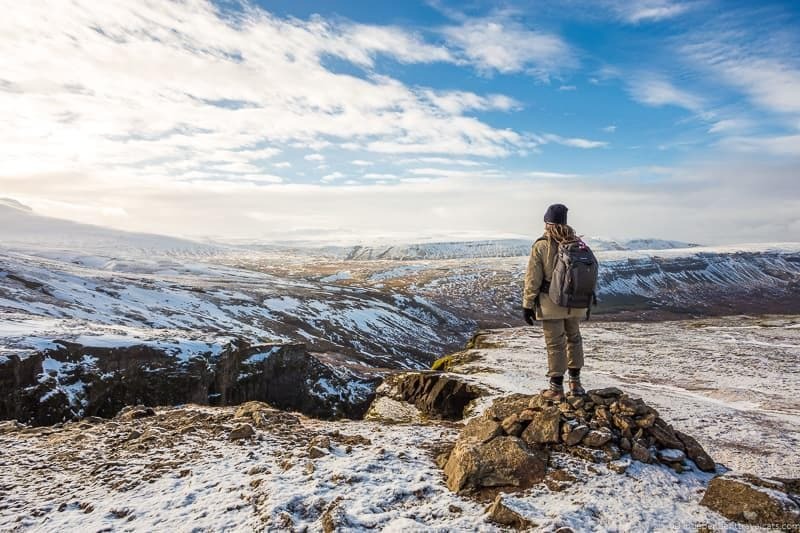 You can check out our Iceland winter packing guide for tips on what to pack. Iceland is incredibly scenic so don’t forget your camera. If you are not used to shooting in cold weather, check out these winter photography tips so you are prepared with the right gear and knowledge for winter photography. Do your research so you can be safe and prepared. Hope for good weather but prepared for bad weather. Then you can come to Iceland and have fun no matter what happens! So that is our guide to winter driving in Iceland! We hope that you have found this information to be helpful in planning your own winter trip to Iceland. Would you be interested in visiting Iceland in winter? Would you want to take a guided tour or drive in Iceland during the winter? Have you driven in Iceland in winter? We’d love to hear any of your own advice or experiences! If you have any questions about driving in Iceland or planning a trip to Iceland, just leave them in the Comments section below and we’ll answer them as quickly as we can! Ah so glad I stumbled upon this blog post! It has so much useful information, my husband and I are going to be in Iceland for a few days in December on our way from the UK to the States for Christmas. We were starting to question driving or not and this has been very insightful and given us confidence that we will feel prepared to drive (or adjust according to the weather) in the southern part of the country! Hi Rachel, So glad you found our winter driving in Iceland post helpful and thanks for taking the time to comment! 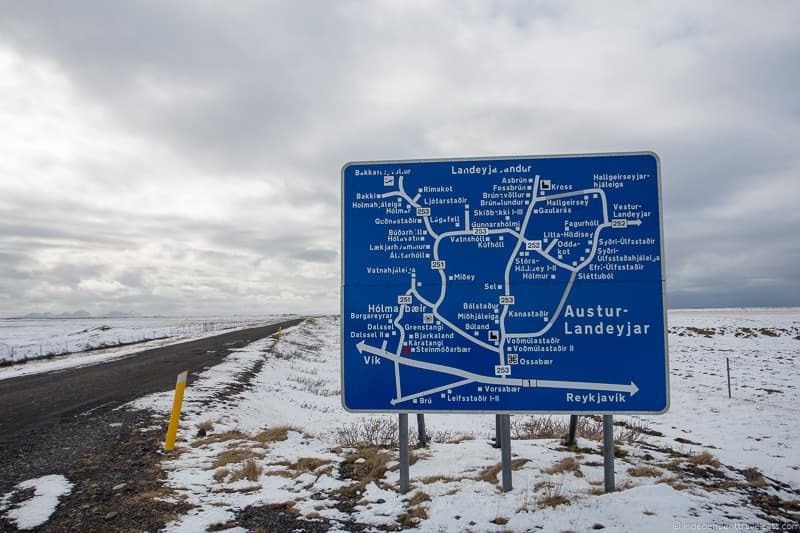 It depends of course on the weather and road conditions but generally the roads around Reykjavík and the South Coast are in good condition and they get cleaned quickly. So you should be fine, just drive carefully. 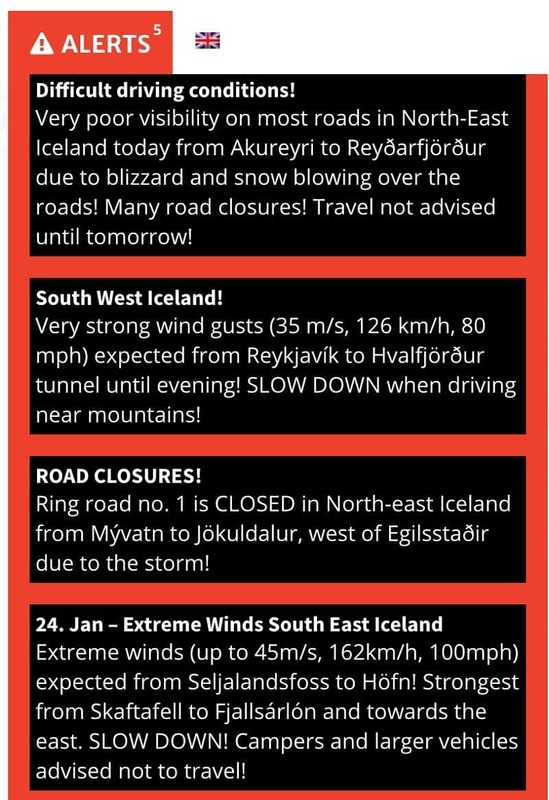 There are also plenty of day tours from Reykjavík if you do decide not to drive or the weather forecast is not looking ideal. This site gave me all the information I was looking for about driving in Iceland in February. Very helpful, Thankss!! Thanks so much for these fantastic tips for driving in Iceland in winter! I am planning to rent a car and drive along the South Coast in December in Iceland. It sounds like there is definiteily a chance of winter weather like snow and ice then, is that correct? We will be keeping to the main roads, do you think we would be OK in terms of safety? Hi Esther, Sorry for the short delay in responding! 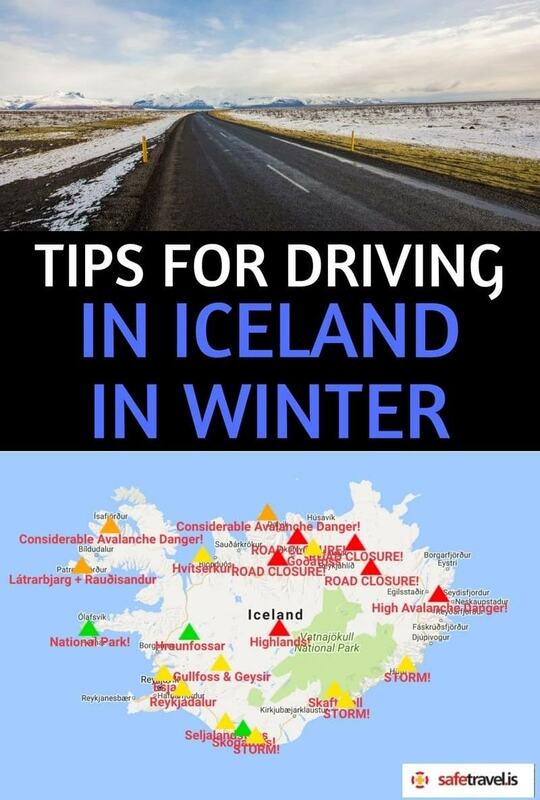 So glad you found our Iceland winter driving guide helpful! The weather is always unpredictable in Iceland but yes, I would expect that there will be snow in December. But the worst roads and storms are normally in the Highlands and further north of where you will be if you are going to be driving along the South Shore. You should be fine and the roads may be clear for your whole trip but it is good to be prepared in case of bad weather. I would just be sure to get a car that is winter ready (e.g., winter tires), have appropriate winter clothing and gear, drive carefully, check the weather and road conditions each day before setting out, and have the emergency numbers handy. Hope that helps and wishing you a great trip to Iceland! 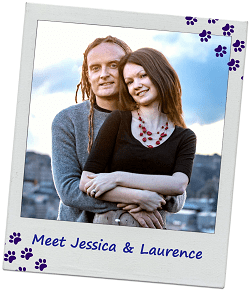 Hi Laurence and Jessica . That’s a great experience of you! To be honest, I have never go road trip in Winter. Your tips for Driving in Iceland in Winter would be very helpful. It seems to be difficult for driving with the road and weather. By the way, I have plan for a road trip in my own country and now preparing for essential items. I’m thinking to buy a hitch bike rack. What do you think about that? Could you please suggest me best one? Thank you in advance for your suggestions. 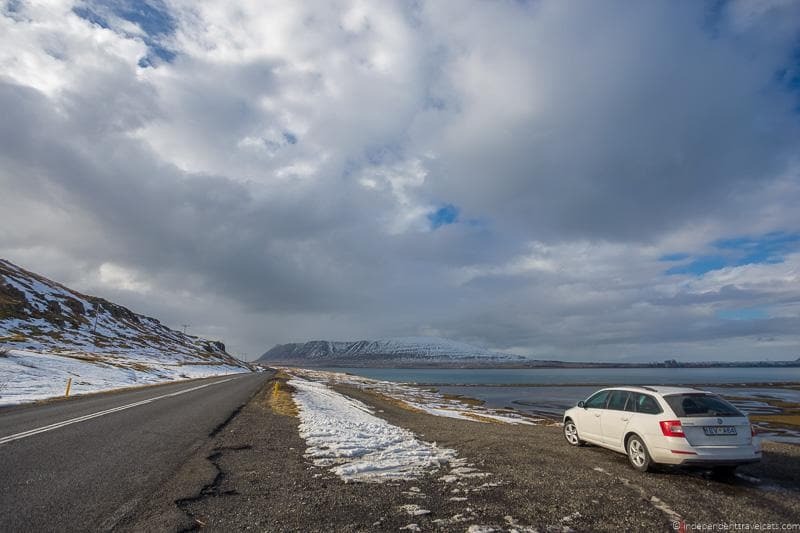 This article is very helpful to me – thanks for these great winter driving tips for Iceland! This is really useful for our upcoming winter trip to Iceland adn the best info we have found online, thanks. Still deciding between driving ourselves or taking a tour but this will help us decide. I love this blog. These above tips are so useful and amazing for planning our trip to Iceland next winter. Thanks for these tips. I will bookmark this page for future reference. THank you so much for all this useful information. My partner and I are going to Iceland on April 7th and we’re hiring a 4×4 to do a tour of the whole Island. I feel very prepared now and can’t wait to see all the wonderful sights. Thank you. Thanks for this informative post about driving in Iceland. Driving in the winter can be a bit scary, but this makes me feel like I may go ahead and maybe book tours for the parts I feel less comfortable doing. I love these pictures! Wow – what a lot of useful information. We have always wanted to go to Iceland and this is exactly the kind of post I want to read before I go. But working! Bookmarking! I’ve never been to Iceland, but it certainly seems like a top road trip destination. I do much prefer road trips over tours for their flexibility, but I don’t have a lot of driving experience in icy and snowy conditions so that would be fun (or scary) and your practical tips are invaluable for someone like myself. And I guess a winter road trip in Iceland means less traffic and having those incredible landscapes almost all to yourself. This is a super thorough guide! I’ve been to Iceland twice in the winter, but actually have never rented a car there! I’m from Ohio and am no stranger to driving on snow/ice, but I’ve just never wanted to deal with it in Iceland. Maybe next time! Thanks for writing this guide to driving in Iceland! It is so helpful and answered all the questions I had and helped me figure out what kind of car to rent. Thanks! We drove around the Ring Road in summer and it was delightful. However, we rented a car for driving when we visited Iceland this winter but then chickened out of going very far. We used it to see around Reyjkavik and its environs. We wanted to go up to Budir and that Snaefellnes peninsula but then decided the conditions could be treacherous. Living now in the UK, we aren’t used to driving in the snow at all! You always answer the small, detailed questions that we don’t think to ask before we get there! I am terrible at driving a stick shift car, so I’d definitely need an automatic. Good to know about the alcohol limitations as well. I think I’d have someone drive me, if I could swing it.